Bob has over 35 years of trial experience in business litigation in both federal and state courts. He served from 2004 to 2009 as the United States Attorney for the District of Rhode Island, the office responsible for prosecuting all federal criminal and civil cases in the State. He has tried over 50 cases to verdict, as well as many arbitrations. 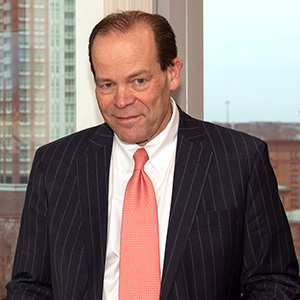 He has represented both plaintiffs and defendants in a wide variety of cases, including antitrust litigation, real estate and contract disputes, intra-corporate and partnership disputes, business valuation, accounting malpractice, fiduciary duty claims, trust and estate disputes, receivership, environmental, securities fraud and Section 10b-5, civil RICO, legal malpractice defense, medical malpractice, and premises liability. He also maintains an active Government Investigations and White Collar Defense practice, and provides mediation and arbitration services. Mr. Corrente has been recognized by Martindale-Hubbell with its highest rating of “AV”. 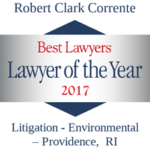 Mr. Corrente has taught extensively for CLE programs, and as a guest lecturer at Roger Williams University School of Law, Salve Regina University and the United States Naval War College.